At 07:20 UT (Universal Time) Thursday, November 24th, 2011, Mercury the wise communicator—and universal trickster—turns retrograde at 20°06' Sagittarius in the sign of the Archer, sending communications, travel, appointments, mail and the www into a general snarlup! The retro period begins some days before the actual turning point (as Mercury slows) and lasts for three weeks or so, until December 14, 2011, when the Winged Messenger reaches his direct station. At this time he halts and begins his return to direct motion through the zodiac. Everything finally straightens out on January 1st, as he passes the point where he first turned retrograde. Mercury normally turns retrograde three times a year, but last year he turned tail four times, which is unusual, and his shadow phase was still active in early January 2011. The effects of each period differ, according to the sign in which it happens (see box for Retrograde Periods in 2011). A planet is described as retrograde when it appears to be moving backwards through the zodiac. According to modern science, this traditional concept arises in the illusory planetary motion created by the orbital rotation of the earth with relation to other planets in our solar system. It's a bit like travelling on the road watching another car beside you: when the other car slows down, or you speed up, it looks as though the other car is moving backwards. Planets are never actually retrograde or stationary, they just seem that way due to this cosmic shadow-play. Click here for some neat graphics and more on the science of retrograde planetary motion. Retrograde periods, although often problematic for us earthlings, are not particularly uncommon. Each planet retrogrades, except the Sun and Moon. Although a powerful astrological influence, Mercury is quite a small planet that travels at a relatively fast speed through the zodiac. Despite being the closest planet in our solar system to the Sun, Mercury is not always in the same sign as the Sun. This time Merc turns in Sagittarius while the Sun too is in Sagittarius and both of these celestials remain in Sagittarius till the end of the retro phase on Dec 14. However, by way of illustration, Mercury turned retrograde last time in Virgo while the Sun was in Leo, then moved back to Leo on the 8th to join the Sun, but the solar orb moved into Virgo on August 23 (with Mercury by then back in Leo). Mercury turned direct in Leo on August 26 with the Sun still in Virgo, but Mercury remained in Leo till Sep 9, when he entered Virgo again. The Divine Messenger remained in Virgo until Sep 25. As a rule, the planets are more emphatic during their retrograde phases, marking periods of seemingly inevitable or fated events that relate to their spheres of influence. By fated events I mean those that circumstances thrust upon us, rather than matters we have consciously decided to implement or resolve. In particular, unresolved issues from the past tend to rear their heads and demand to be dealt with. Retro phases present us with a series of events over which we seem to have little or no conscious control, relating especially to the sign in which the retrogradation occurs—although this need not mean that our responses are outside our control! By way of example, Mercury retrograde in Virgo (analysis; critical ability) awakens quite different sets of circumstances from those generated when he retrogrades into Leo (dramatic; generous; egocentric). A retrograde period is best seen as a cycle, beginning when the planet begins to slow to a halt before travelling backwards through the zodiac, and ending when it returns to the point where it first paused. However, during the cycle, a planet's energy is at its most powerful—and more likely to generate critical events of universal importance—when it is travelling slowly, and particularly when it makes a station: appearing motionless in the sky. and then again midway through the cycle at the direct station, when the retrograde planet slows to a stop before moving forward again. The direct station is the most powerful and can be used for maximum benefit. It is often thought of as the psychological peak of the retro phase, rather than the end, thanks to the shadow phase. Many astrologers consider that the "Mercury Shadow" begins between two and three weeks before the actual retro station; so the shadow phase begins this time on November 5, when Mercury passes the point of direct station for the first time in this cycle (see the date for the beginning of each shadow period in the table). Weird things often start to happen then, but the really noticeable peculiarities begin when Mercury slows significantly, a few days before the retro station. The Mercury Shadow extends to the return date, something under three weeks after the direct station. Bear this in mind, because experience shows that the effects of the retro period are still marked during the shadow phase. Some of the most characteristic annoyances often occur just after Mercury makes the direct station, while he is crawling forward before picking up speed. In general, Mercury rules thinking and perception, processing and disseminating information and all means of communication, commerce, education and transportation. By extension, Mercury rules people who work in these areas, especially those who work with their minds or their wits: writers and orators, consultants, commentators and critics, gossips and spin doctors, salespeople, teachers, travellers, tricksters and thieves. Mercury also has an occult side, so healing, astrology and the transmission of spiritual knowledge are also in his area. It is not exactly wise to make important decisions while Mercury is retrograde, since it is likely that such decisions will be clouded by misinformation, poor communication and careless thinking. Mercury is all about mental clarity and the power of the mind, so when Mercury is retrograde these intellectual characteristics tend to be less acute than usual, as the critical faculties are dimmed. Make sure you pay attention to the small print! The key issue here is one of focus. Mercury's retro phase tends to bring unforeseen changes and blockages, but the aggravation and frustration that many of us experience during these periods is often due to our own inability to roll with the punches. Is this due to our ego-fixation? Mercury sets out to restructure our thinking processes and for many of us this is painful and frustrating. Unresolved issues from the past tend to push themselves forward. Moreover, these experiences reveal flaws in our internal organisation as well as our external planning, which can make us feel foolish and inadequate. Keep your eyes peeled; Mercury's retro period gives us the chance to find out just what has been missed! Mercury retrograde, like any cosmic aspect, affects people differently, depending on where it hits their personal charts. Some people actually prosper under a retro Mercury, especially if Mercury is retrograde but otherwise well-aspected in their birth charts. Some people even excel in the way they play roulette under a retrograde Mercury! It is also a time when matters begun under a previous retro period will come to fruition, or completion as the case may be. Firm decisions that have been previously made when Mercury is travelling normally through the zodiac may be implemented or finalised while Mercury is retrograde without too much worry, for experience shows that this can be done without undue problems arising. Click your sign to see how Mercury Retrograde affects you! When Mercury is retrograde, everyone's thinking is more introspective; we tend to think about issues and concerns that relate to the sign involved. With Mercury retrograde this time in adventurous, freedom-loving Sagittarius, people with this sign prominent in their charts will be especially prone to such introspection. Sagittarius (the opposite sign to Mercury-ruled Gemini) is the detriment of Mercury, so Mercury here is even more erratic than usual, due to his weakened position. Sagittarius is not noted for tact or subtlety, and with Mercury stumbling along here, no doubt some people are going to have their hoof in their mouths, big-time. International misunderstandings due to faulty information are in the frame. Sagittarius is a Mutable Sign, so the other Mutables, Gemini, Virgo and Pisces are also likely to experience considerable conflict between heart and head, along with a good dose of typical disruption. Mercury turns retro at 20°06' Sagittarius on November 24, less than a day before the solar eclipse in Sagittarius. This is a very Sagittarian phase, because both Mercury and Venus are in the sign of the Archer, in conjunction with the Moon's north node, the Dragon's Head. This is significant because the Sun is also in Sagittarius and in less than 12 hours the Moon is there too, producing a solar eclipse at the New Moon in Sagittarius! It's time for a new start, so let the mighty watch their backs. Mercury is both conjunct and parallel Venus in the figure, giving a more fortunate and pleasing aspect to the event than is often the case. Venus does rule love, beauty and harmony, but we should remember she can also be much more of a material girl, and is very concerned with money. Since Merc rules communication, magic, and moneychangers, getting the financial levers right will be critical. Mercury also rules thieves, so we can expect a great deal of underhand financial dealings behind the scenes (especially in the Eurozone). Venus is right on the Galactic Centre, so the importance of the aspect is not to be ignored, or underrated. This point, discovered in 1932, is thought to contain a supermassive black hole some four million times greater that of our own Sun. When aspected, people affected are inclined to take a central role in affairs and to have a sense of cosmic destiny, but with Mercury retrograde, we need to take careful note of the details of any over-arching plans. In improving our social life, etiquette, appearance, or our environment, discussing common goals here is key, because unfortunate errors in communication will arise. Discussions and activities may include a little more gossip than usual. Advice and information regarding partnership, joint ventures, contract negotiations and legal matters may be misleading. Wedding plans, divorce proceedings, social events, or how you can elicit the co-operation of others are all subject to some dislocation under the retro phase. Communication with partners, allies, and in joint ventures must be noted carefully. It's appropriate to share your thoughts with others and others will want to share their ideas with you, but let's not get our wires crossed through undue ebullience and overconfidence. Public relations, debate, negotiations, counselling, and legal matters will raise their heads and should proceed well, but since it's under the rule of Sagittarius, we need to be careful not to put our feet in our mouths. Communication, especially over bringing issues to a head, might have a more lighthearted flavour than you might expect. But be sure to pay attention to the details of any agreement, because that's where the devil is. So far the atmosphere presents something of a relief after the evils of the past year, but let us not fall into a false sense of security. Mercury in warlike Sagittarius has no other significant aspects, although the wily Messenger does turn conjunct the mercurial Fixed Star, Massym, which endows strength of character, an ardent nature and dangerous passions. Quite in keeping with Sagittarius then! Massym is actually on the left arm of Hercules, the heroic over-achiever and symbol of the growth of consciousness and soul development in mankind. Curiously, the Moon (habit patterns; karmic baggage; the public) in the figure is conjunct Marsik, a star on the right elbow of Hercules, but in Scorpio. 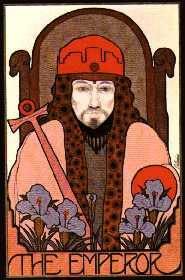 Robson says Hercules is associated by the Qabbalists with the Hebrew letter Daleth and the fourth Tarot Trump The Emperor. [As I hope we all know by now, signs are not the same as constellations.] The Emperor represents authority and virility, and has gained wisdom through experience, but at his worst, the Emperor is a despot, imposing his will capriciously on his subjects. However, when well-favoured, he signifies an intelligent, enthusiastic leader that everyone wants to follow, the great monarch of an orderly, lawful, thriving empire. The Grand Cross has been discussed in detail in previous Mercury retrograde articles (see the dropdown menu in the box). It's the flavour of the year, and this time is restimulated by retrograde Uranus (disruption) reoccupying the Vernal Point (first degree of Aries), conjunct the ill-favoured star Scheat, a star of Mars (war; passion; hostility) and Mercury (intellect). Scheat is in process of moving onto the Vernal Point by precession, and in fact is already there by orb. Scheat will therefore be a major player for decades to come. Awakening the essence of intellect, Scheat stimulates independent thought and a break with conventional ideas or philosophy, as we have seen since 2010, when it was activated by the entry of Jupiter and Uranus into Aries and the Grand Cross in Cardinal Signs. Now retrograde Uranus is back on top of it and will be there till January/February 2012. Fate (in terms of the unavoidable actions of others) is sure to take a hand. 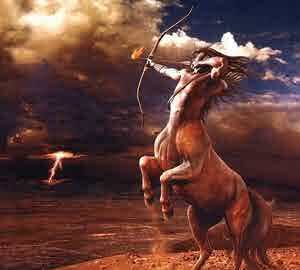 During this time Ceres (disaster) crosses this point as Mars the Warrior turns retrograde. Unfortunately Scheat also brings imprisonment, murder, suicide, drowning, and extreme misfortune. Ulp. Mars, as the ruler of Aries, rules Uranus in the figure and Mars (unconscious drives) remains in the truly intellectual and mercurial sign of Virgo for months to come. The problem is that intellect tends to be cold and out of touch with feeling or soul, but fortunately Uranus is stimulating the mid-point between the two healers, Chiron and Jupiter, and is moderated by a trine aspect from the Sun, encouraging us to try a different or unique approach (which might succeed better than we ever dreamed). Nevertheless, being different just to be different is not likely to work at all. Any plan or idea has to have a solid foundation. 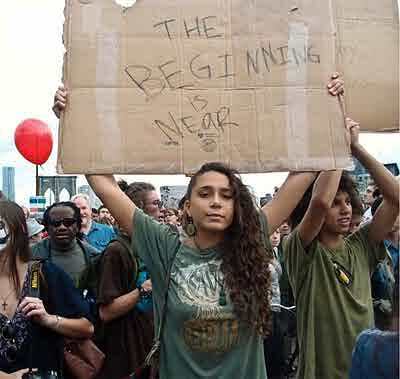 Group efforts, organizational meetings, fund-raising, and political activities are favoured under the impending New Moon and Solar Eclipse, when it's time for the old order to recognize that a very new order is beginning to flower. The Sun, however, is the focus of a T-square aspect with Mars and Chiron. The T-square is tense and forces us to seek a solution. Since Mars is already in Virgo, preparing for a retro phase of his own, this aspect is worth noting. People will be touchier than usual when others impinge on their territory, challenge their authority, and question their methods. Now whether you stick to your way of doing things or decide to follow the suggestions of others, your desire for personal accomplishment is apt to be very strong during this period. Tension may rise when dealing with male companions or co-workers. Success is likely to be delayed, thanks to actions that are unnecessarily aggressive or too hasty, but can still work out well. Take care to avoid injury to your head or face, or putting too much strain on your heart and spine. Chiron, the wounded healer archetypally represents the victory of compassion over self. Mars will be in healing Virgo for a long period of time, and Chiron remains in inward-looking Pisces for some years yet, so the need for the sacred warrior to heal the wound of his intellect and obsession with small points (blown out of proportion by the trine to Jupiter in Taurus) will be a major concern during this Mercury retro phase. The Sun (and so the imminent Solar Eclipse!) is conjunct the Fixed Star Yed Prior, in the left hand of the Serpent-Bearer Ophiuchus. Ophiuchus in ancient times was known as Aesculapius, son of Apollo, a hero who became a healer. Apollo, having retrieved his unborn son from the body of his dead mother Coronis (killed by Apollo for infidelity!) gave Aesculapius the gift of healing, handing him over to the care of Chiron, who educated him in the art of medicine and raised him to become a great physician. The healing influence of Chiron is thus reinforced by the hand of his pupil, although Yed Prior is somewhat risky, especially in this climate, as it is said to provoke shamelessness and revolution. Wall Street beware. Robson says it is associated by the Qabbalists with the Hebrew letter Oin and the 16th Tarot Trump, The Lightning Struck Tower. Smashing down only to build again..? The Big News of the Moment is the struggle of the European Union to hold itself together as the waves of financial turmoil threaten to overwhelm its main currency, the Euro. The Euro is the most widely distributed monetary unit in the world, with (it is said) more Euros in circulation than US dollars. It is also the second so-called "reserve currency" traded in the markets, after the USD. The economy of Greece, the eurozone's most troubled member state, is basically broke. They will never be able to repay their sovereign debt (ie money owed by the government). The only way they have any hope of recovery is to leave the eurozone and reinstate the drachma, their traditional currency. The Greeks can then devalue their currency and renege on their financial obligations. They might be able to inflate their way out of trouble, but this is a big step and a scary one, which may well ruin the eurozone itself and certainly place a huge strain on the already overextended banking system. The economies of Italy, Spain, Portugal and Ireland are on life-support, and if Greece falls, they might be next. Britain is not in the eurozone, although it's a member of the European Union. In the media as I write, David Cameron, the British PM, warns that under no circumstances should Italy be allowed to fail, for he fears a consequent economic calamity. 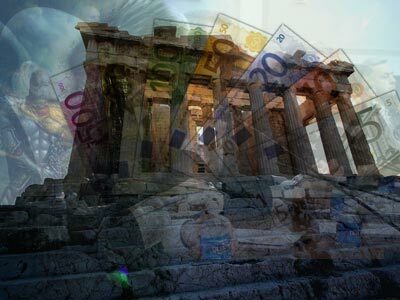 Greece and the Euro: a Bankers' Coup..? Now the Euro is ruled by Saturn, for it has Sun in Capricorn and Aquarius rising at its birth on Jan 4, 1999. Its Venus is also in Capricorn and it has Neptune and Uranus conjunct the ascendant in Aquarius and the south node also in Aquarius. Very Saturnine. Stable we would think, but with Uranus on the ascendant, anything can come out of the blue. The Euro's natal Moon is in Leo, its seventh house of partnership, but closely opposed to natal Uranus. This is a very disruptive, overconfident aspect, and its natal Saturn is weak in Aries (making it reckless and overcautious by turns), although its Jupiter is strong in Pisces (inclining it to act on instinct, though usually falling on its feet). Why is this important? In the figure, the Sun and Moon are conjunct the Euro's natal Chiron and will form the Solar Eclipse conjunct its natal Chiron and mid-heaven. Thus a deep wound will be opened in the public theatre, affecting its reputation. A strong Saturn in the figure (exalted in Libra) is opposing its weak natal Saturn. The eurozone will inevitably have to face the consequences of its actions. They should not go by pure instinct, or frustration will result. Even if they deliberately move at a slower pace, they are still likely to fail, realising too late that they should have acted sooner. That's a Catch 22. Success comes for the Euro (a young currency) through learning to control reactions, an ability that its controllers can only develop through maturity and experience. Hence there are things to regret about the past (admitting Greece to the Euro; being too liberal with sovereign debt; etc etc) and now the eurozone is most likely to regret them. The current leaden circumstances can and should be viewed as lessons to be learned. Lessons related to what failed in the past, and what is obviously not working in the present. EU take note, and anyone who is involved with the Euro and its financial ramifications (ie almost the whole world!). The Mercury retro phase will see major reorientations in the European Community, for Mercury turns conjunct the EU's natal Saturn in Sagittarius. For the EU and its peoples, information and methods will purport to be pragmatic and practical, but appearances may be deceiving. The Sun and subsequent eclipse will be conjunct Mars, so reckless steps that breach tradition are likely to be regretted. The Sun and eclipse at the start of the retro phase will be square the EU's natal Pluto. This, combined with Pluto in the figure being conjunct EU natal Sun for a long time to come, demands a new beginning that completely transforms the old setup. Either that or it will become sclerotic or even disintegrate. Either way, it's a painful, demanding and drawn out process. Circumstances require willpower, stamina and a willingness to get to the bottom of things, especially as natal Pluto is in Virgo (where Mars turns retro) and in the 12th house of secrets that must come to light and be thoroughly explored. Direct confrontation, deliberate action and keen observation are the best strategies. People involved should not reveal their plans, or betray confidences. Areas most under control may be challenged, or invaded by others. Don't be your own worst enemy. A debt of honour is due. The US is still experiencing its Saturn Return, as I explained in the March 2011 article. Fortunately, the worst of this is over, though it still remains a debilitating problem for Americans until late 2012, when Saturn leaves Libra to enter Scorpio. During this phase, transiting Saturn in the figure is square the nation's Part of Fortune (material wellbeing; wealth) and is applying to the stressful square aspect with America's natal Pluto (in the Silby chart), which becomes partile (exact) just as Mercury turns direct. Saturn's debilitating and restrictive effects tend to become more noticeable just after the aspects culminate—rather than in the lead up as is the case with the inner planets. The US seems very concerned now with its leadership issues, but it has plenty of other problems, especially in the areas of finances, debt and self-worth. Too much intensity during this phase—or contrivance to manipulate—can hamper progress in these areas. Psychological factors may block attempts to clearly analyze matters at hand. Americans must learn that getting around the frustrations is possible by slowing down and allowing themselves valuable time to gain what cannot be accomplished by immediate open confrontation (especially in Iran!). 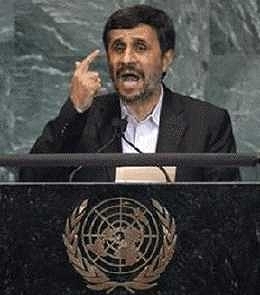 I mention Iran because there is a problem there with "weapons of mass destruction" (sound familiar?) and it's a long way away from the US. The stroppy and aggressive attitude of the Iranian leadership makes them an ideal scapegoat for US leaders trying to deflect attention away from more pressing domestic issues. Israel's attitude does not help, either. This is significant because Warrior Mars is in picky Virgo as Mercury turns (upsetting communications and frying thinking) in warlike and thoughtless Sagittarius. Virgo governs the 9th house of foreign affairs in the US chart and Mars will stirring trouble there until mid-2012 thanks to a retrograde phase of his own, starting in January. This suggests mistaken foreign adventurism, based on faulty intelligence (sound familiar?). As Merc turns, transiting Neptune (deception; delusion) is conjunct the US natal Moon in Aquarius, fogging the communications and mental processes considerably. Transiting Uranus (disruption; catastrophe) is retrograde and conjunct the US IC, destabilising matters at home and asking for a complete, game-changing new beginning. This could be in a completely unexpected direction, as we have already discussed, and will be sooner rather than later, as Uranus stations to turn direct in this degree on Dec 10, only four days before Mercury turns direct again. Mars in the figure is rising conjunct the Virgo ascendant on the Wall Street chart of May 17, 1792 as Mercury turns retrograde. This inclines traders to be fierce and take risks. This could prove to be a big problem for them (and for the financial world) as Mars turns retrograde in Virgo conjunct Wall Street's natal Mars in January. Moreover, transiting Uranus (disruption) is exactly conjunct the Street's natal Dragon's Tail (the Moon's south node — harbinger of loss and karma) in its house of other people's money, death, taxes and psychological manipulation—not to mention occult power! Phew. Saturn (restriction) in the figure is conjunct the Street's natal Jupiter (fortune; expansion; overconfidence) and Neptune (delusion; deception; fantasy) and at the same time tightly opposed to its natal Saturn (and Moon!). When we add to this the Sun, Moon and solar eclipse taking place conjunct the Street's IC (house of beginnings and endings, domestic considerations and real property) and opposing its natal Sun/MC, there are serious grounds for concern. The Moon's nodes are moving inexorably towards this point and will reach it in September 2012, so massive changes and developments are in store for the Street, not just during this Mercury phase, either. President Obama's chart curiously is afflicted by the Sun Moon conjunction (soon to be eclipse) in the exact opposite way to Wall Street's. The Street will have the eclipse on its IC, the house of beginnings and endings, domestic conditions and real property, while Obama will experience the eclipse on his natal MC, the midheaven, which symbolises public image, reputation and career opposing his natal Moon, suggesting domestic issues and problems with the public understanding him, especially since Uranus is right on his natal Juno (contract; covenant; woman as partner). Does not sound too good for him. A number of other factors are working against him, including Mercury retrograde in his midheaven, indicating breakdowns in communication in his career. He is also experiencing his Chiron return, so inner tensions will demand release, not that this will stop him. Of course everyone born between 1961 and 1970 with Chiron in Pisces will share his pain! Mercury remains retrograde in Sagittarius until December 14, 2011, and the shadow phase lasts until January 1, 2012. Mercury finds his direct station in the 4th degree of the sign, conjunct the eclipse point and the fixed star Yed Posterior, also on the hand of the Serpent Bearer. This star is a bit nastier than its brother (Yed Prior), being known as an evil influence, "the Man of Death", being wasteful and subject to unseen dangers, leading up as it does to the cosmic peculiarities that we will be experiencing in months to come. Naturally not everyone will suffer, nor will those who are affected all be affected in the same way, as it depends where the aspects fall in their personal charts. It's a philosophical and religious phase during this period that is largely free from conventional ideas. Although Mercury is in its detriment in this sign, when favourably aspected it inclines us to be independent in our ideas and opinions, and enables us to learn best by travelling and circulating in groups and in different places. A tendency to dishonesty and lawlessness is there, thanks to corruption and twisted ambition. Nervousness and stress-related sciatica are potential afflictions, so if you are affected, you would benefit by chiropractic care and massage. This period brings travel snafus, mail mishaps and missed appointments of all kinds. Documents can go astray. Be sure to carry a diary and refer to it often. NOTE: The fixed stars form patterns in the heavens that are called constellations. Constellations are not the same as Signs of the Zodiac, though some of them bear the same names, because in times gone long by, the signs coincided with the constellations of the same name. This is because of the phenomenon known as the precession of the equinoxes, whereby the Vernal Point, which is always the first degree of the sign Aries in the Tropical Zodiac, moves slowly backwards with regard to the stars and constellations in the Sidereal Zodiac (thanks to the Earth's top-like "wobble" in its orbit). Signs are geometric divisions of the Zodiac; constellations are groups of stars in the heavens. Hercules and Ophiuchus mentioned here—and others such as Orion, Corvus, Andromeda etc.—are important constellations, but not signs of the Zodiac. This is the end of the article. Click here to read Mercury Retrograde: Above the Hype and Beyond the Spin.